Residential Rental Listing 2 bed 2 bath in Honolulu, HI. Beautiful 2BD, 2BA CONDO on Ala Moana Blvd! 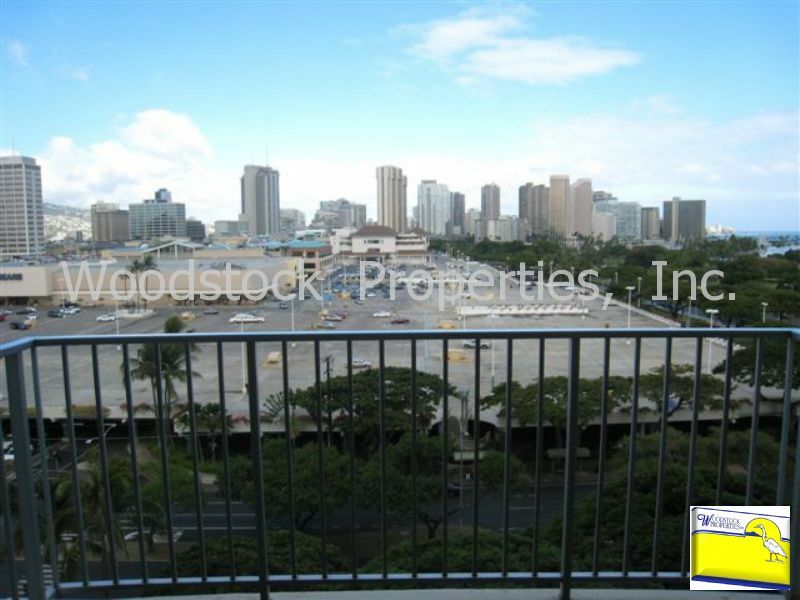 beautiful 2bd, 2ba condo on ala moana blvd! Available NOW! Wonderful condo with mountain & ocean views! This stately building has a sophisticated lobby, security guards, Resident Manager & Concierge, salt water pool, whirlpool, BBQ & picnic area, and a trash chute. This freshly painted, lovely 2 bedroom, 2 bath unit is located on the 10th floor & comes w/1 car assigned covered parking. Basic cable is included in rent. Large covered lanai has fantastic views. New vanities,ceramic tile entry, wood laminate flooring elsewhere in the unit, shoji doors, cable ready, glass top stove & separate oven, corian countertops, dishwasher, microwave, garbage disposal, water dispenser on exterior of side by side refrigerator, built-in back-lit wine rack, chandelier in dining room, lots and lots of closet space, full sized washer & dryer in unit, window a/c in both bedrooms, ceiling fans & wonderful ocean breezes for cross ventilation. Overnight guest parking passes obtainable from concierge. Water, sewer, trash, parking, Association Fees & Sales Tax are all included in the rent. 1 year lease w/'military clause', good credit & renter's insurance required, NO PETS permitted, $20 application fee per adult.